Built in 1940, the Canterbury Estate was one of the most rundown and poverty-stricken places to live in Bradford. Council-run, it also held the perhaps unfortunate distinction of being one of the largest estates in Northern England. Most of its residents were long-term unemployed, using their wits to help make ends meet and more often than not working ‘on the side’. And though the neighbours fought against each other on a regular basis, there was a huge solidarity when it came to outsiders. Drink, drugs and ‘blues parties’ were the order of the day, and woe betide any coppers or social workers who wanted to stick their noses into anyone’s business, because the Canterbury Estate was one thing above all others – a fiercely close-knit community. A community that was a law to itself, at times, definitely, but still a place where they looked after their own. Bradford, 1970. The notorious Canterbury Estate. Are human monsters born or are they made? It’s a pertinent question, but not one that’s currently troubling the mind of young Vinnie McKellen. Just turning fourteen, he has other things on his mind right now, chiefly what he’d like to do to the meddling jobsworth of a social worker who has come round to take him away. Vinnie, the middle child of June and Jock McKellen, is a bright boy, and with his angelic smile and appealing ragamuffin features, he can charm his way into - not to mention, out of - anything. Up until today, that is, when it seems his luck’s finally run out and the social are carting him off to borstal. A product of his environment, he’s still defiant and cocky, though. They can throw what they like at him; it’ll only make him stronger. There is one shining light in the darkness of Vinnie’s soul, however – and it’s his little sister. Josie will be hit hard by Vinnie’s absence and that hurts him. Just eleven, and known as Titch, Josie is June and Jock’s youngest, and already sees her brother as a hero. As she watches Vinnie being taken away she feels wretched, knowing life for her will never be the same. Her mum only ever has eyes for Vinnie, and always lets her know it - and though her dad loves her, he is weak and unable to show it, as every time he sticks up for her or tries to look out for her, he gets a tongue-lashing from his domineering wife. 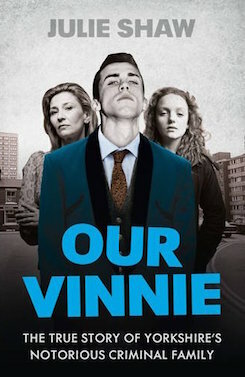 As Vinnie finds his feet in the brutal borstal system, his family are living in their own prison: trying to make ends meet in the underbelly of society, the only way they know how. Lyndsey, the eldest of the McKellen children, is already a heroin addict, with 3 young children of her own. 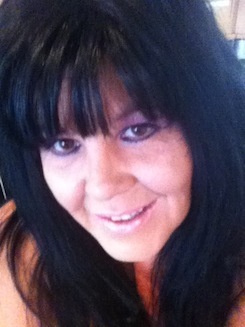 She and her partner, Robbo, buy and sell drugs to get by, and steal whatever food they and the kids need. And if they need other money, the solution is simple; Lyndsey prostitutes herself around the estate. But it’s for Titch that Vinnie’s loss will have the most damaging impact - and for both of them. Out on the street, to get away from the huge row her parents are having, she is asked to run an errand for the neighbourhood pervert, a man in his late 50‘s’s, called Melvin. Josie knows no-one likes him but thinks it’s just because he’s smelly. He offers cigarettes and sweets as an inducement that Josie can’t resist, and when she returns with his shopping he coaxes her inside, where he rapes her. 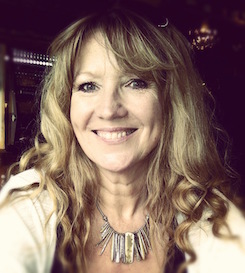 "Her writing style has echoes of the crime writer Martina Cole – graphic street vernacular and a pumping narrative with larger-than-life characters who thrill and chill in equal measure. But Shaw’s prose has an extra layer of polish and authenticity ." "Her writing style has echoes of the crime writer Martina Cole – graphic street vernacular and a pumping narrative with larger-than-life characters who thrill and chill in equal measure. But Shaw’s prose has an extra layer of polish and authenticity."